The Toyota Camry has received a complete overhaul this year, and while its athletic and angular exterior is getting a lot of attention, the 2018 Toyota Camry interior is also worthy of much praise. 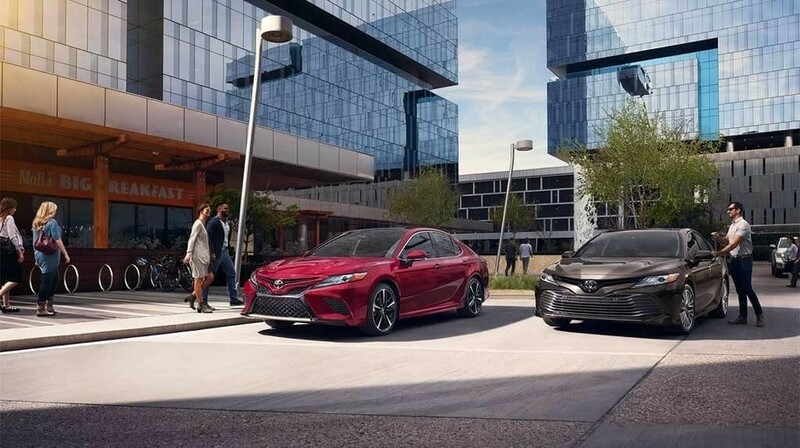 From its available leather upholstery to its comfortable cabin dimensions and abundant comfort features, the new Camry cabin has all the comfort and convenience Hollywood drivers crave. Get the details here, and then step inside and take it for a spin at Toyota of North Miami. Keep your eyes on the road ahead while getting important information like speed, step-by-step navigation, and your current direction when you opt for the available Head-Up Display (HUD). Enjoy maximum comfort and style with full leather upholstery and contrast stitching, as well as eight-way power adjustable front seats. Opt for heated seats for the driver and front seat passenger, as well as rear seat vents, and you’ll find there’s not a bad seat in the house! The trunk of the new Camry measures up to 15.1 cubic feet and gives you easy access thanks to the redesigned hinges of the trunk lid, which now open up wider than before. Experience everything the new Toyota Camry has to offer today at Toyota of North Miami, where we have the new Camry for sale right now! There are a lot of important reasons Ft. Lauderdale drivers choose us for their Toyota needs, including our highly-trained, professional staff and free car washes for life! Visit our dealership today, and you’ll notice the difference, too. We’re located at 16600 NW 2nd Ave in Miami, FL, and you can also give us a call at (305) 974-1103 for more information or to schedule a test drive.